Ethiopian Airlines is pleased to announce that it will commence scheduled four weekly flights to Incheon International Airport in Seoul, the Republic of South Korea effective 18 June 2013. 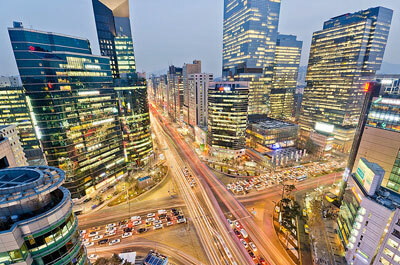 Seoul is the fourth largest metropolitan economy in the world, after Tokyo, New York and Los Angeles. It is home to four UNESCO World Heritage Sites: Changdeok Palace, Hwaseong Fortress, Tongmyo Shrine and the Royal Tombs of Joseon Dynasty. The city is also known for a number of modern landmarks including Lotte World, the world’s largest indoor theme park, Moonlight Rainbow Fountain and many more attractions. With this new flight, Seoul will be connected to dozens of cities in Africa via Ethiopian main hub in Addis Ababa. Convenient connections will be available to and from major African cities such as Johannesburg, Nairobi, Lagos, Accra and Dar-es-Salaam.